Our range of salami, made following traditional methods from Emilia and Brianza, comes from carefully chosen pigs. The lean and fatty parts of the meat are ground relatively finely, following an ancient recipe, and seasoned with salt, pepper, herbs and spices, before being wrapped in natural or artificial casing. 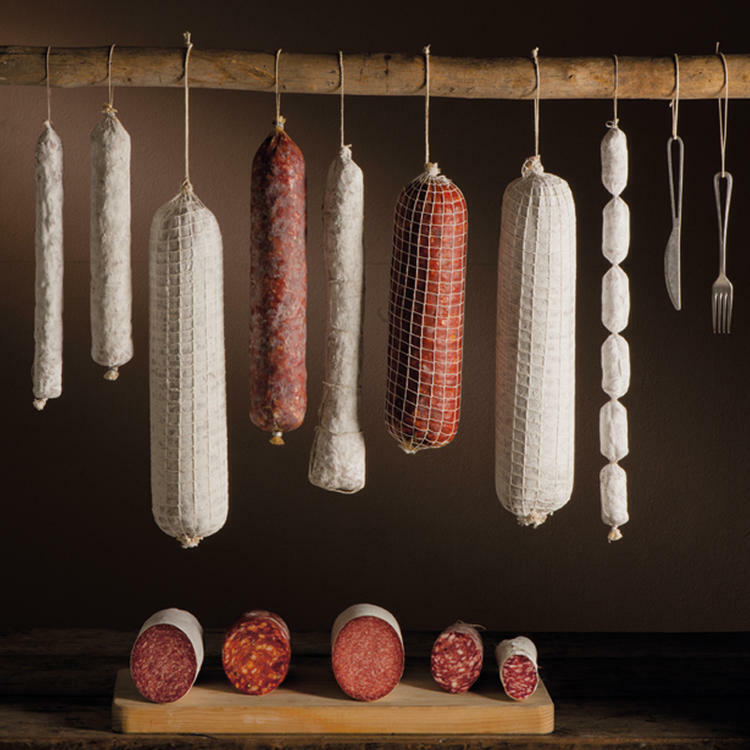 Our salami is made with a carefully prepared mixture of minced pork meat, including both fatty and lean parts, before being seasoned and enclosed in special casings, which are tied by hand, one by one, in line with tradition. 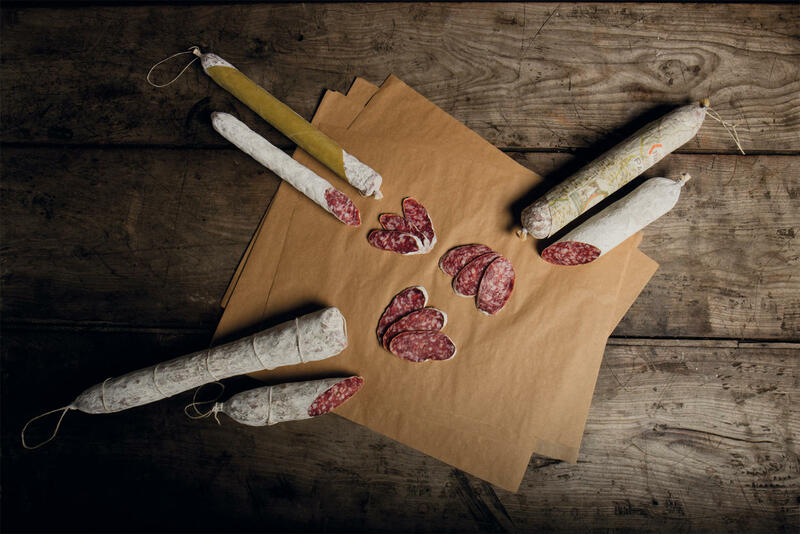 Every Vismara salami, produced in the hills of Brianza, brings with it the flavour of the best in Italian gastronomic tradition, and has done since 1898. It owes its characteristic ruby red colour to the use of carefully chosen pork meat and the mixture, so rich in flavour, gives the product an intense aroma and pleasant softness which has always made it unmistakable on the palate. Ferrarini loves to rediscover the pleasures and passions which stem from Italy’s old culinary traditions, and from the historic roots of the area. 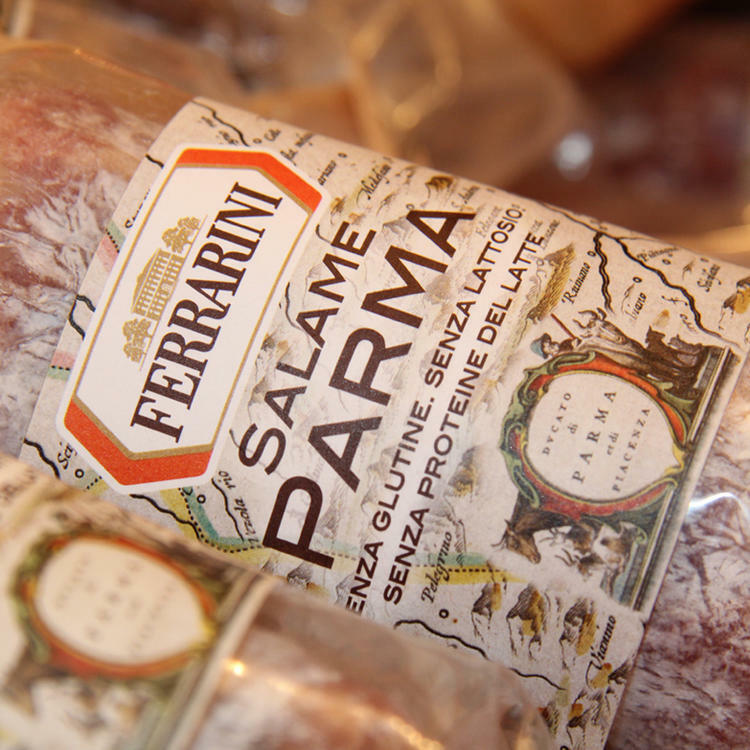 This is why Ferrarini reserves a place of honour among its range of Italian salami for the Langhirano, Parma and Strolghino salami, three products with their roots in Parma’s renowned salami-producing tradition. Discover how our salami is produced. Enjoy a taste of our Salami in the comfort of your own home? In the production of our cured meats, we use both animals born, reared and slaughtered in Italy and animals born, reared and slaughtered in other EU countries. The reason we use meat from other countries is partially the fact that Italy is not self-sufficient in terms of its pork production (we import around 40% of our pork), and more importantly the fact that almost all pork hind legs from pigs born, reared and slaughtered in Italy are used for the production of PDO cured hams (Parma, San Daniele etc). In the production of non-PDO cured meats, the source of the meat does not affect the quality or healthiness of the product. Before slicing the meat it is advisable to peel the casing from the part you would like to cut. Cutting must be done carefully by hand, with a long-bladed knife that has been well sharpened. Slices should be cut diagonally with a decisive but delicate cut. For an appetiser you could eat our salami with some Parmigiano Reggiano PDO Parmesan cheese and small pieces of focaccia. 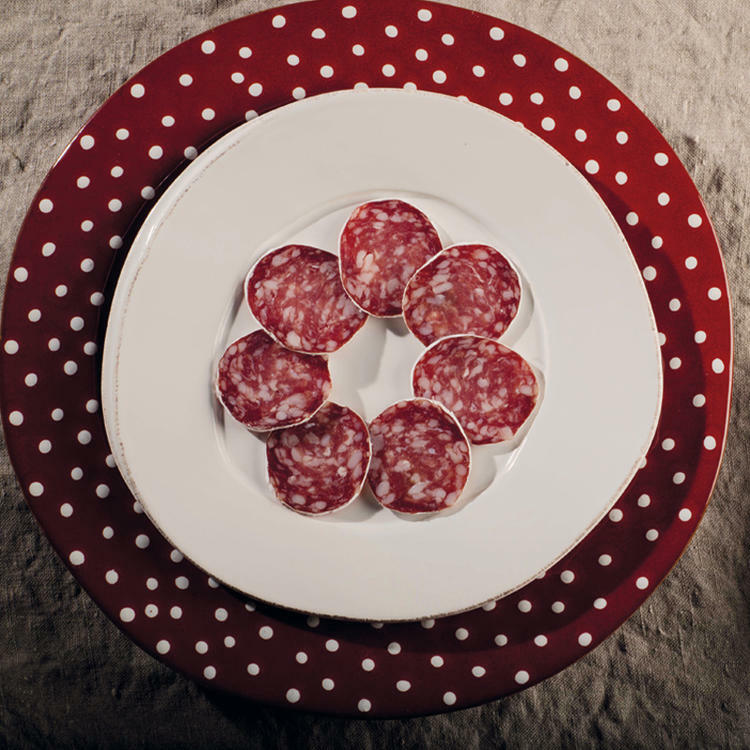 Salami is ideal as a starter, served with a good Ferrarini Lambrusco. Their flavour is sure to surprise even the most demanding connoisseurs. Strolghino is a small variety of salami which is typical of the Bassa Parmense area and is produced with the prized meat obtained from the production of Culatello (a highly prestigious cured meat from Parma). 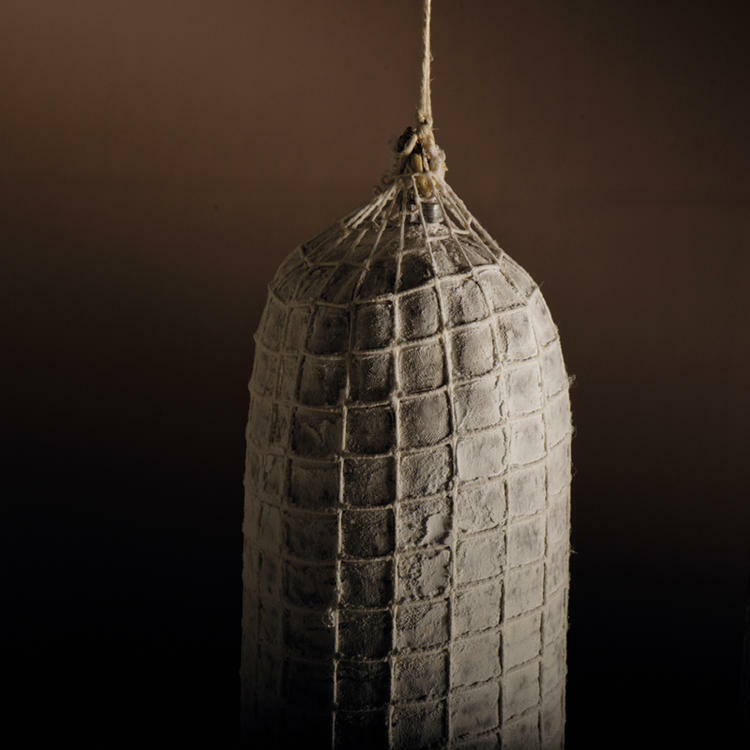 Strolghino was traditionally the first salami to be eaten, just a few weeks after production. The name comes from the word “strolga”, which means “guess” in the Parma dialect. This ‘young’ salami was used to predict how the larger cured meats would mature, and this led to this name. Free from gluten, milk protein and glucose! All of our salami is produced without adding gluten, milk protein or lactose. Give in to temptation, and try our wide range of Ferrarini and Vismara salami with their characteristic taste, for a true taste of Italy. Mould is the small fungus that can form on the salami skin; it is very important for maintaining the salami’s moisture and for curing and refining the meat; it gives the salami its characteristic flavour. Naturally, the mould created during the production phase does not produce mycotoxins. Is the casing natural or artificial? The choice of gut for casing the meat depends on the type of traditional recipe we are following. None of our casings are edible. Once sliced, how long can you keep it in the refrigerator? And how should you do so? You should use a tea towel to cover the product, and it can then be kept in the refrigerator for up to 7-10 days. It is always advisable to dispose of the first slice before eating.